Press Release (ePRNews.com) - NEW PORT RICHEY, Fla. - Jan 16, 2018 - Ranier Racing Development driver Sam Mayer has signed to race for JR Motorsports’ championship-winning Late Model program for the 2018 season. The 14-year-old from Franklin, Wisconsin, will take the seat of the team’s second entry hoping to continue the run of success the team has had over the past several years that includes back to back championships in 2016 and 2017. Mayer, son of former Indy Car and road racing star Scott Mayer, will join 2017 CARS Late Model Stock Car Series champion Josh Berry as a teammate for 2018. Mayer, who began racing go-karts at the age of four, ended his first Late Model campaign in 2017 on the strength of three victories and 13 top-10 finishes, including the youngest driver to ever win a Late Model race at historic Greenville Pickens Speedway. Mayer also competed in the prestigious Myrtle Beach 400 that included the top Late Model drivers in the country and brought home an impressive fifth-place finish. Mayer’s standout 2017 season also included a full slate of US Legend Car Series events, and the young driver won the US Legend Car Winter Heat Championship, the Bojangles Summer Shootout, US Legend Car Asphalt Nationals and was crowned Young Lions Legend Car National Champion. Additional plans for Sam in 2018 include Speed-Weeks World Series of Asphalt Stock Car Racing at New Smyrna Speedway, U.S. Legend Car Winter Heat and Summer Shootout from Charlotte Motor Speedway. 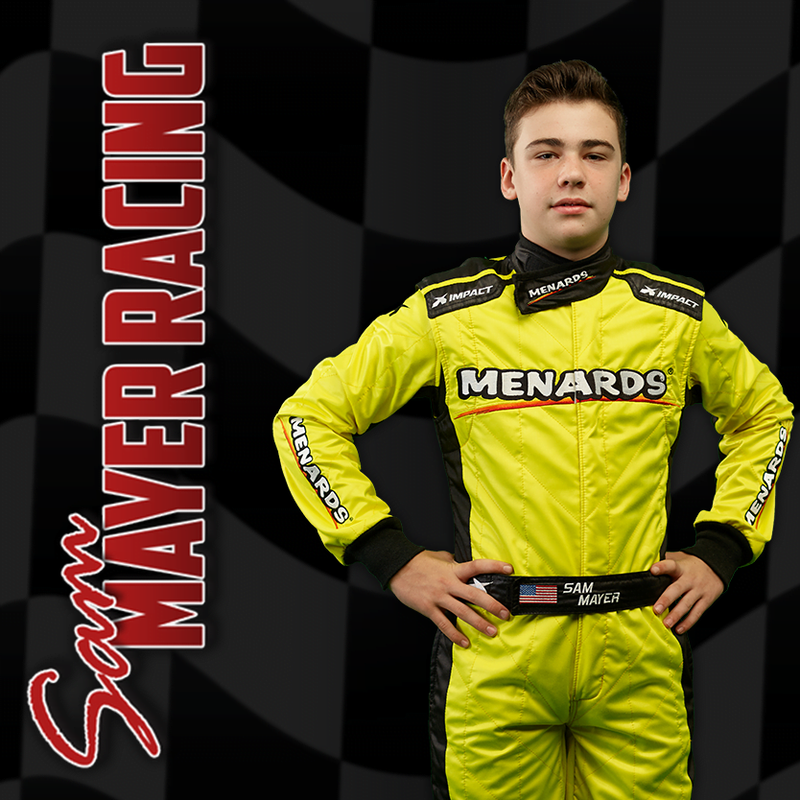 Mayer, who will turn 15 later this year, will compete in selected races in the ARCA Series presented by MENARDS and the NASCAR K&N Pro Series. · 2017 – US Legends Winter Heat Series Championship; Bojangles Summer Shootout Championship; US Legend Car Asphalt Nationals Champion. Hawk McCall Motorsports Late Model 3 wins and 13 top-10 finishes.